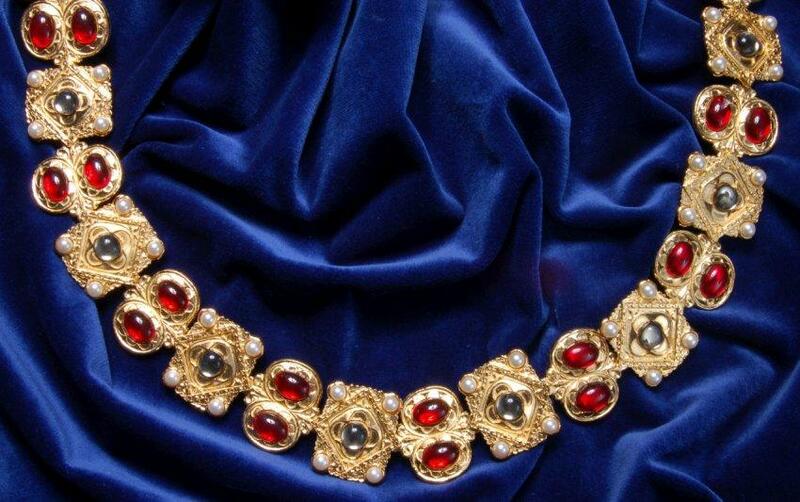 Copied from a painting in the National Portrait Gallery, this collar is gold plated and set with Swarovski pearls and glass cabochons to represent the original rubies and diamonds. We now set the collar with ruby and sapphire coloured cabochons. Length 37". Please contact us before ordering as these are made to order and can take up to four weeks.